Subscription Products: Your favorite products delivered to your doorstep! 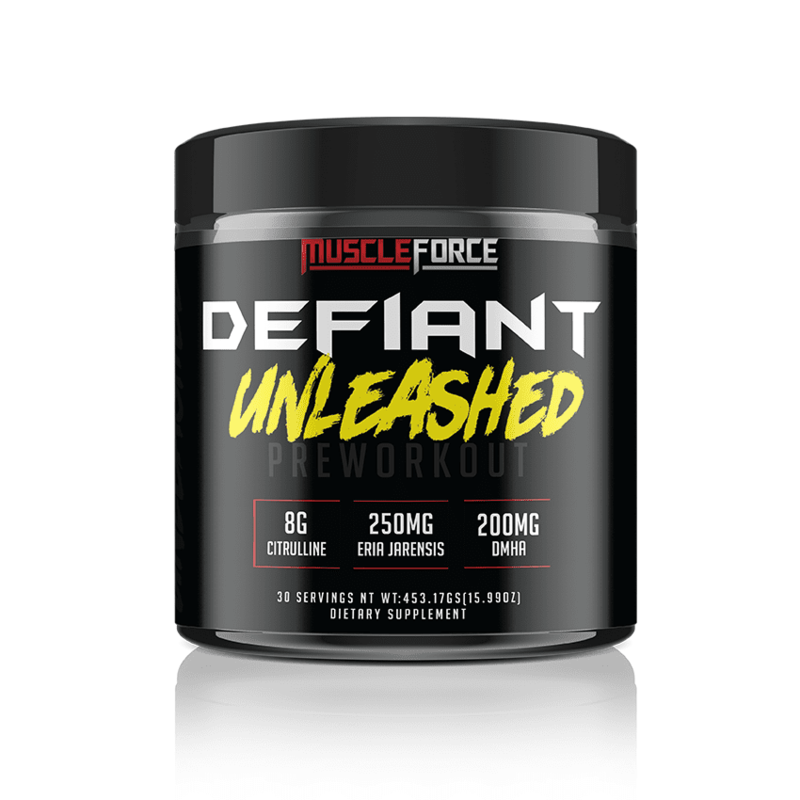 Sign-up for a monthly subscription of Defiant Unleashed- no contract, no fees! Convenience meets healthy lifestyle. With Defiant Unleashed we took it up a notch… a lot of notches. This one is for the stim-junkies. We combined Eria Jarensis and 2-amino 5-methylhexane, a form of DMHA that hits harder than the regular form of it. These two offer a better 1-2 punch combo than Floyd Mayweather has ever had in his arsenal. We could have stopped there. We could’ve said, “Okay, throw in some Caffeine and Beta Alanine and Citrulline and call it a day.” But we didn’t. We gave you more Energy with 400mg of Caffeine Anhydrous, Theobromine, & Methylxanthine Anhydrous. To top it all off, we gave you more Focus with 30mg of Noopept and the other Nootropics- Huperzine A, Choline DL-Bitartrate, N-Acetyl L-Tyrosine, and L-Theanine. 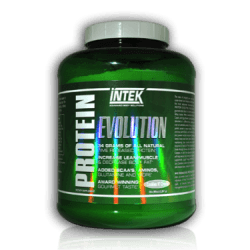 This pre-workout is LOADED and can easily contend with some of the “top-dogs” on the market. Say, “Goodbye,” to the 2-scoop pre-workouts in your life. Say “Hello,” to Defiant Unleashed. Tired of pre-workouts that you can’t feel? Are you a caffeine “non-responder?” Defiant Unleashed was made for you. We wanted a simple formula, that would give you the enhanced energy you crave. 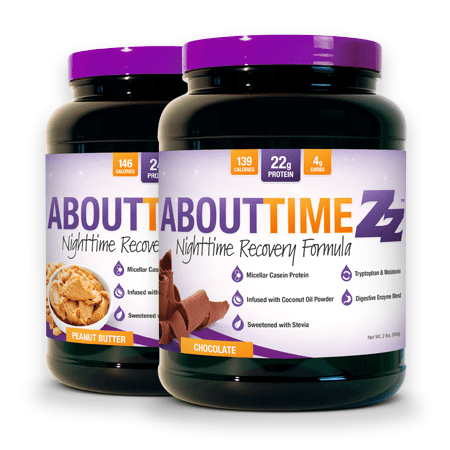 A formula so strong that 1 scoop is all you need in a 24-hour period. Defiant Unleashed is not for beginners. It is only for those brave souls that have been let down so numerous times before, and can’t find a pre-workout that works anymore. Ever wonder why your pre-workout doesn’t give you the pumps it used to? Ever heard of NOS? NOS is the enzyme that is responsible for converting Arginine into NO. Unfortunately, NOS becomes down regulated very easily, especially if you are taking Arginine 5 days a week. This means that the Arginine from your pre-workout stops giving you the same effects after a couple of weeks. This is why Defiant Unleashed doesn’t have Arginine. Instead, we threw in 6g of L-Citrulline! Citrulline uses your body’s natural NO pathways to deliver skin splitting pumps! And because it works with the body’s own pathways, you don’t have to worry about not getting a pump from your pre-workout ever again! Beta-Alanine – 3.2g – Helps increase the carnosine levels in your muscle tissue. Increased carnosine helps to buffer against lactic acid and other waste materials produced by the body during intense training sessions. This buffering helps to improve muscle endurance, and recovery. 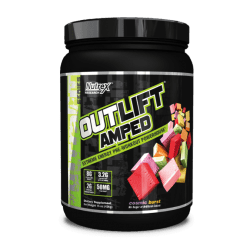 L-Citrulline – 6g – We went all out with the Citrulline. It has been shown to increase plasma NO levels better than Arginine. Works with your body’s natural NO pathways. Choline – 1g – Brain food. The raw material needed to make acetylcholine. Acetylcholine is the neurotransmitter primarily responsible for memory recall and focus. Huperzine A – 200mcg – This natural herb signals your body to make more acetylcholine. Combined with Choline, Huperzine A improves your mental fortitude. Glucuronolactone – 300mg – Used in energy drinks to make the effects of caffeine and other stimulants last longer. Ever wonder why Red Bull gives you wings? Caffeine Anhydrous – 400mg – If you can’t feel 400mg of caffeine, then you need to stop. This amount will wake up even the earliest risers. Great if you are working out after a long day of work, or at 5:30am. Eria Jarensis – 250mg – One of the new stimulant ingredients out there. When combined with Caffeine and other stimulant ingredients, it has been known to give users enhanced energy, focus, and memory recall. Kind of sounds like an ADD drug. 2-Amino 5-MethylHexane – 200mg – The new stim on the block. It has been known to deliver faster, and harder, than 1,3 DMAA and 2-Amino-Isoheptane. N-Acetyl L-Tyrosine (NAC) – 250mg – Helps take the edge of caffeine and other stimulants, without reducing their effectiveness. Definitely needed for Defiant Unleashed. 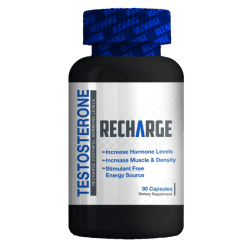 L-Theanine – 200mg – A potent neurotransmitter. When combined with caffeine and other stimulants it helps improve focus, and memory recall. Great for helping to balance your mood. Can you say controlled chaos? Theobromine – 100mg – An alkaloid from the cacao plant with a similar effect to caffeine. Found in dark chocolate. Has been shown to have a relaxing effect on the lungs, which can improve cardiovascular and strength endurance. Your body does not become tolerant to Theobromine. Don’t let your dog get into your stash. Methylxanthine Anhydrous – 50mg – A stimulant found naturally in your body, and in numerous plants. Helps to open your body’s airways so you can take in more oxygen, and help improve endurance and increase blood flow to your muscles. The effects last longer than caffeine. Noopept – 30mg – One of the most powerful nootropics available. It works by helping to increase acetylcholine production. When combined with Choline and Huperzine A, it helps to maximize focus, memory recall, and attention span.